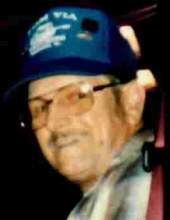 Robert E. Martin, 79 of Herrin, passed away 4:38 p.m. Friday, March 15, 2019 at his residence. Robert was retired truck driver for Russell Oil Company and was a former coal miner. Robert was a veteran of the U. S. Army during the Vietnam War. He was also a member of the Herrin American Legion Post # 645. Robert was born January 28, 1940 in Carrier Mills, IL to Irvin D. and Lillian Fern (Hilliard) Martin. Robert was united in marriage with Ruby Jane Brookhouse. She preceded him in death on December 23, 2012. Surviving are a sister and brother-in-law, Shirley and Bill Turner of Harrisburg; two brothers and a sister-in-law, James and Judy Martin of Chrisman, IL, Ronald Martin of Newman, IL. He was preceded in death by his wife, parents and a brother, Donald Martin. Services will be 1:00 p.m. Thursday, March 21, 2019 at Meredith-Waddell Funeral Home with Rev. Don Colson officiating. Visitation will be 11:00 a.m. until 1:00 p.m. at the funeral home. Burial with military graveside rites conducted by the American Legion Post # 178 of Villa Ridge and the IL Army National Guard Honors Detail will be in Mount Pisgah Cemetery at Wetaug. To send flowers or a remembrance gift to the family of Robert E. Martin, please visit our Tribute Store. "Email Address" would like to share the life celebration of Robert E. Martin. Click on the "link" to go to share a favorite memory or leave a condolence message for the family.